$27 - Created by Splendid, this casual tween dress is part of the fall 2017 line. The dress is perfect for every day and looks great layered with her favorite leggings and boots when the air turns cold. The bodice has an overlay effect and a soft V neckline. Her short sleeves flutter down both sides. We adore the slight curve of the hemline. 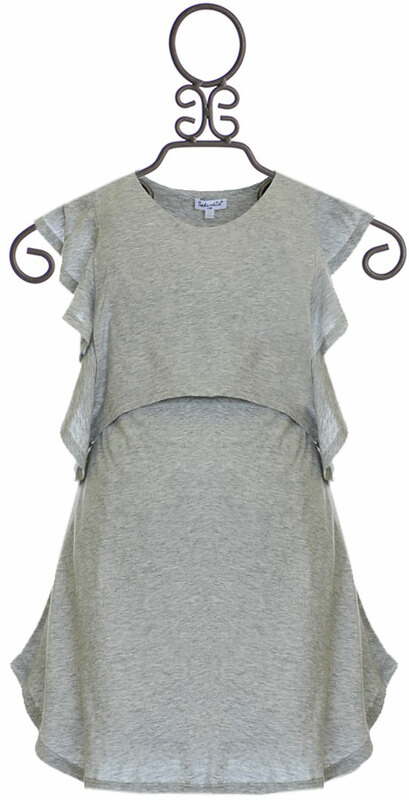 If your tween adores trends and comfortable styles, Splendid is sure to be one of her favorite designers. 60% Cotton and 40% Modal. Machine Wash Cold, Tumble Dry Low. Do Not Dry Clean!